We use the amazing larder on offer around the Teign Valley to serve food inspired by my travels and work as a chef from our restored Citroen HY van to the hungry public at festivals, events & private parties. If you have an event, we can bring the food. 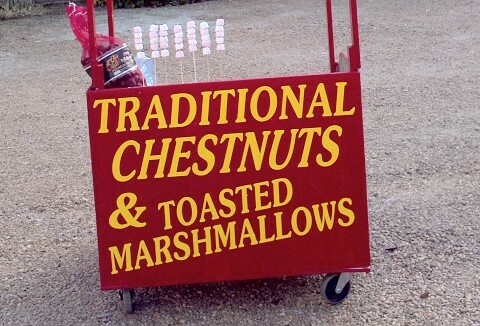 Whether your holding a Christmas market event, Christmas Carol concert, Christmas Fair or your looking to tie the knot our traditional hot roast chestnut and mulled wine stall will be perfect for your visitors to enjoy & add that perfect Christmas cheer.